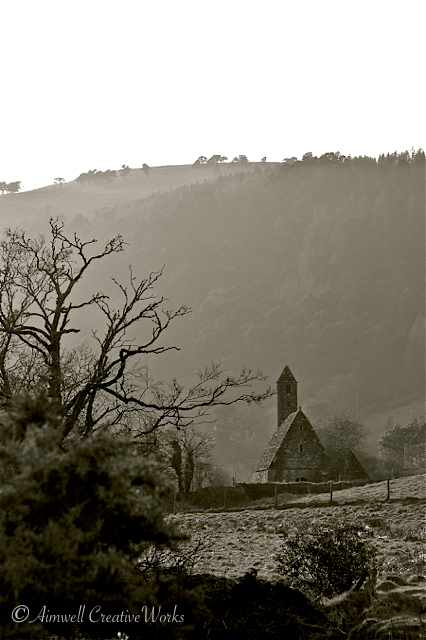 This entry was posted in Ireland, Landscapes, Photography, Sacred Spaces, Travel, Uncategorized and tagged Aimwell CreativeWorks, black and white, Dorothy Chiotti, Glendalough, Ireland, landscape, Light and shadow, Photography, Sacred spaces, spring, St. Patrick's Day, Travel. Bookmark the permalink. Beautiful photograph. It has an almost lonely quality to it. Thank you. It is an isolated ancient enclave and most peaceful and atmospheric. It’s worth visiting. Thanks for stopping by.